Faraz Abdul Moid completed the memorization of the Qur’an at the Institute of Islamic Education (Elgin, IL) under Maulana Aziz Ahmed (db). He completed his undergraduate studies at St. Louis University (Missouri) and the University of Illinois at Chicago. Faraz has adamantly kept the close company of Ulama and Masha'ikh, namely under the spiritual guidance of Shaykh Husain Abdul Sattar (db). The Rules of Ramadan, a translation of أحكام رمضان authored by Mufti Muhammad Shafi Usmani (ra). Translated by Shaykh Muhammad ibn Harun Abasoomar (db). In this concise booklet the Honourable Muftī Muhammad Shafi Sahib (r.a.) has outlined the very basic rules of the blessed month of Ramadān. These rules are undoubtedly very pertinent and important. It is hoped that the reader studies this booklet prior to and during the blessed month of Ramadān. In conclusion we have included some questions and answers pertaining to the various aspects of Ramadān. These have been adapted from the ask- imām.com website which is the official website of the Iftā department of the Madrasah. We hope to update this section with other references in future editions – Insha Allāh-. An index has also been added so that the reader may locate his query easily. This small booklet, by al-Muhaddith Shaykh Fazl-ur-Rahman al-Azami (db), sheds light upon the 15th night of Sha`ban known as Laylat al-Bara’a (or Shab-e-Baraat as is known in Urdu). The Shaykh, may Allah (SWT) accept his efforts and lengthen his life, is presently one of the leading Hadith scholars. He is known to be the successor of the great researcher and scholar, al-Muhaddith al-Kabeer Shaykh Habeeb-ur-Rahman al-Azami (ra). Many misconceptions, confusions, and baseless traditions circulate regarding Laylat al-Bara’a. Therefore, as is the case with great Ulama, Shaykh Fazl-ur-Rahman al-Azami (db) felt the pressing need to produce a well-researched treatise, in the form of this short and concise booklet, clarifying the issues regarding this night in the light of Qur’an and Sunnah. Compiled by Mawlana Muntasir Zaman – may Allah (SWT) reward him – this Arabic PDF contains the names, year of birth, year of death, and some major work/s of prominent Hadith scholars from the generation following the Companions till the 15th century Hijri. Included in the PDF is a short intro and 185 footnotes. Download book review by Aamir Bashir. Author: Wan Mohd Nor Wan Daud. Publisher: International Institute of Islamic Thought and Civilization (ISTAC), Kuala Lumpur, Malaysia, 1998. The topic of Islamization of contemporary knowledge and education of the Muslims has been debated since the First World Conference on Muslim Education in Mecca in 1977, but no serious attempt has been made to trace the history of the ideas and to study and evaluate some of these matters in practice. This book is an exposition of the educational ideas and practice of Syed Muhammad Naquib al-Attas, who is one of the most prominent, multifaceted and creative Muslim thinkers in contemporary times, and one of the key speakers at the first and second World Conferences on Muslim Education. The author puts forward that al-Attas is the original conceptualizer of the notion of Islamization of present day knowledge and education, and that he has consistently applied it in his lifelong endeavors at Muslim higher learning institutions, particularly at ISTAC. Possibly the first work of this nature in contemporary Islamic discourse on the subject, the author uses both written and many unpublished documents, recording personal discussions and the daily practices of al-Attar as an educator, and tracing and comparing some of alAttas’ ideas and practices to those of earlier scholars and contemporary Muslim and non-Muslim thinkers. Among the important topics discussed are the metaphysical worldview of Islam; knowledge and knowing; the meaning, content and method of education; the concept and reality of the Islamic university, and the history of and the issues concerning the Islamization of present-day knowledge. 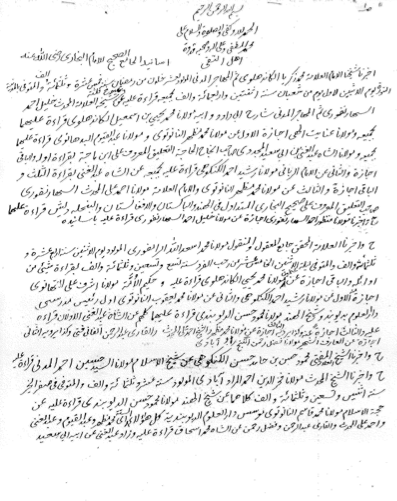 Modern Muslim scholars discussed are ‘Abduh, Iqbal, al-Farugi, Fazlur Rahman, S. H. Nasr, and others. This work is useful for specialists, policy-makers as well as the general reader interested in the Islamization and substantive reform of Muslim education, especially at the higher levels.